We are excited to be asked to be a part of the cover reveal for Shalini Boland’s newest title, The Child Next Door, coming out 3-29-18! Keep a close eye out for this one! 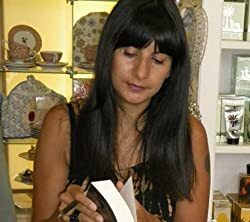 Shalini Boland is an amazing Psychological Thriller writer! Shalini Boland lives in Dorset, England with her husband, two children and their cheeky terrier cross. Before kids, she was signed to Universal Music Publishing as a singer/songwriter, but now she spends her days writing suspense thrillers (in between school runs and hanging out endless baskets of laundry). Shalini’s US Top 5 Kindle Bestseller THE SECRET MOTHER is now available! Her debut psychological thriller THE GIRL FROM THE SEA reached No 1 in the US Audible charts and No 7 in the UK Kindle charts. THE BEST FRIEND reached no 2 in the US Audible charts and No 10 in the Amazon UK Kindle charts. It also achieved number 1 in all its categories and was a Kindle All Star title for several months in a row. THE MILLIONAIRE’S WIFE reached No 9 in the Kindle UK charts. Shalini is also the author of two bestselling Young Adult series as well as a children’s WWII novel with a time-travel twist. Wow! The plot is very intriguing and the cover matches it perfectly. I will be putting this on my TBR list. I have The Millionaire’s Wife but I haven’t had a chance to read it yet – have you read that? I haven’t read “The Millionaires Wife”! I will definitely look into it tho! Thank you!